Computation which Jain calls Magic Fingers. This book also covers 2 digits x 1 digits, like 34 x 6, and 2 digits x 2 digits, like 97 x 97 in seconds. This is where the Teen Numbers For Teenagers gets introduced, inviting the parent to assist their child to know every Teen Multiplication, like 14 x 15 or 16 x 18, within seconds of rapid mental calculation. There is a rare and unique chapter called “HARMONIC STAIRWAY” from Jain’s Dictionary of Numbers, for the first time in print. These choice Mathematical Plums are something that the student stumbles upon. They are working away solving calculations mentally, and when they check their answers in Chapter 2, they are instructed, in the section: DID YOU KNOW, to learn more about that particular number. But these are not any particular numbers, they are Anointed Numbers that our forebears held in high esteem. 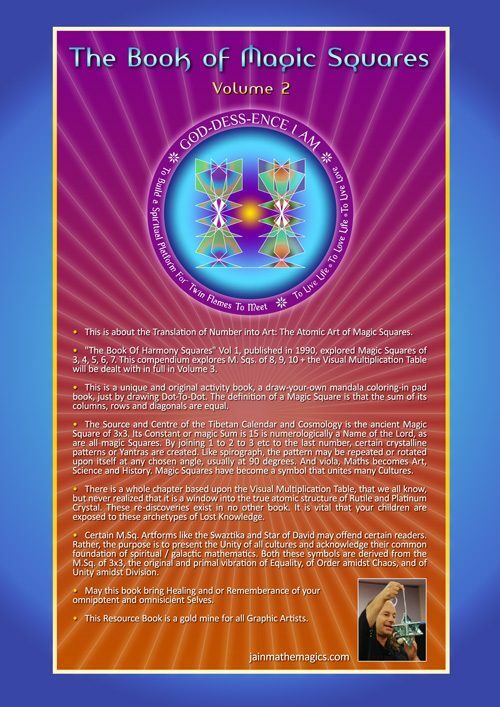 from the 6 volume Series: JAIN MATHEMAGICS CURRICULUM FOR THE GLOBAL SCHOOL. 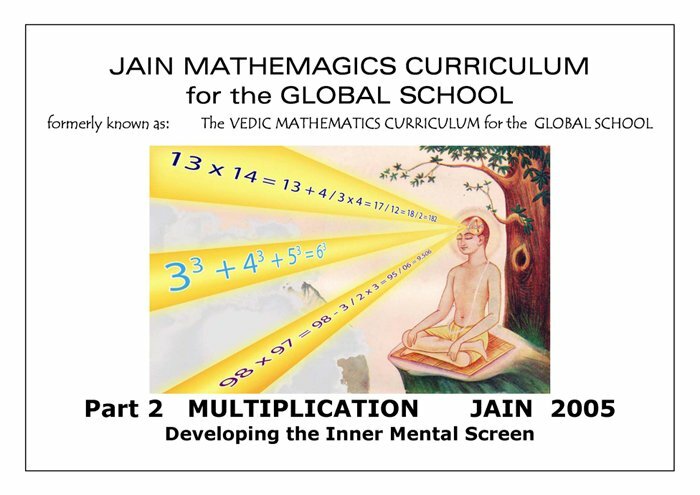 JAIN MATHEMAGICS CURRICULUM FOR THE GLOBAL SCHOOL. This book contains 163 photocopied pages, is computer-typed, highly illustrated, the book is a golden rectangle but fitted or orientated to A4 landscape , and wire bound. This is my best book on Rapid Mental Calculation, and the most popular one. 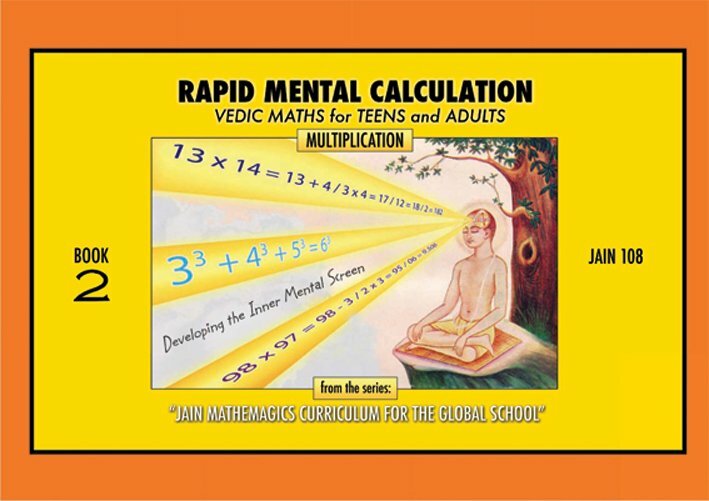 It is the first book that would buy, coupled with a dvd on vedic maths, to start the learning process of Vedic Mathematics, better known as Rapid Mental Calculation. 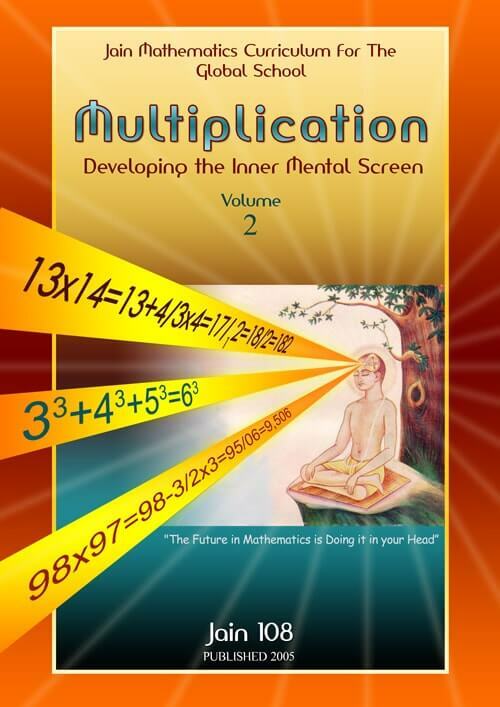 Vol 2: MULTIPLICATION Subtitled: Developing the Inner Mental Screen. This is the book that most people request for at the end of a Jain Lecture or Seminar, something available for their children to commence applying practical, day-to-day examples. It covers single digits x single digits 7 x 8 using ingenious Finger Computation, 2 digits x 1 digits, like 34 x 6, and 2 digits x 2 digits, like 97 x 97. Mathemagics that went global and launched Jain’s career onto the international stage. Rapid Mental Calculation. It Increases the child’s Memory Power and Confidence. There is a rare and unique chapter called “HARMONIC STAIRWAY” from Jain’s Dictionary of Numbers, for the first time in print. These choice Mathematical Plums are something that the student stumbles upon. They are working away solving calculations mentally, and when they check their answers in Chapter 1, they are instructed, in the section: DID YOU KNOW, to learn more about that particular number. But these are not any particular numbers, they are anointed numbers that our forebears held in high esteem. Beautifully and richly illustrated that the graphics alone educate. The student learns about other Families of Numbers, other numerical relatives and mathematical cousins that enrich their understanding of what mathematics is really about. As Jain Mathemagics becomes more globally acknowledged, it will help end the generational tyranny that has kept such knowledge in the dusty cupboard. Beautifully and richly illustrated that the graphics alone educate. The student learns about other Families of Numbers, other numerical relatives and mathematical cousins that enrich their understanding of what mathematics is really about. It instills that sense of joy and wonderment that Pythagoras and Baudahayana knew. 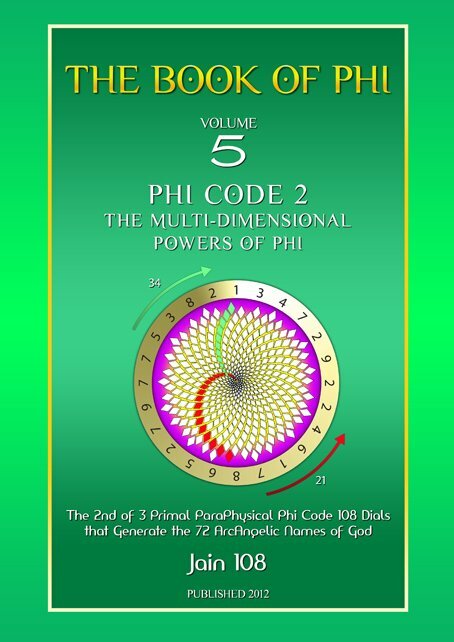 • There is no error; it is an infallible bulletproof system, based on Unity Consciousness. The 16 “Threads” or Sutras that solve all known mathematical problems express The Law of Economy and The Path Of Least Resistance. • As Jain Mathemagics becomes more globally acknowledged, it will help end the generational tyranny that has kept such knowledge in the dusty cupboard. 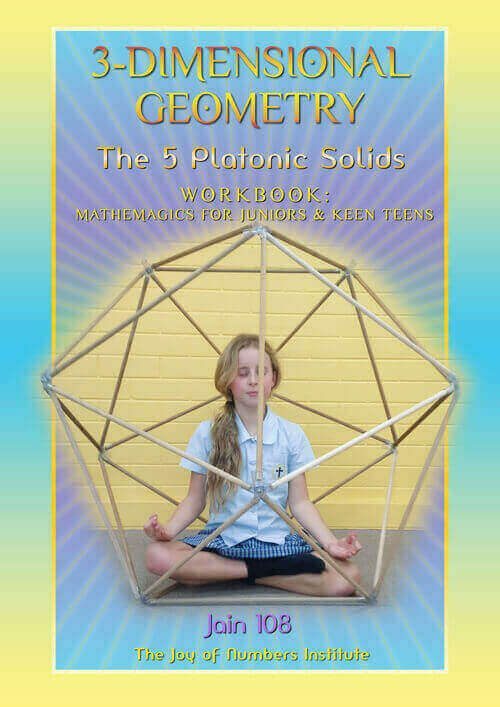 This book is an organic pill that will prevent the slowly encroaching borgificiation of Mathematics. • Since the turn of the bi-Millennium, there has been a global renaissance in the subject of “Sacred Geometry”. You could summarize it as a fascination for the Language of Shape. 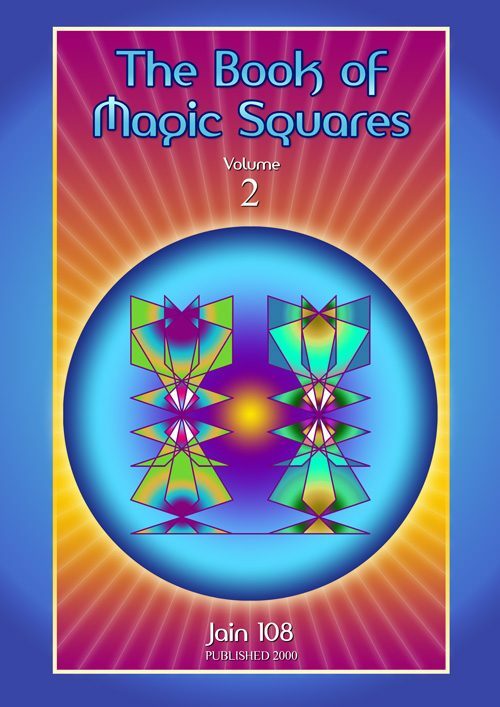 This book invites seekers to truly incorporate SHAPE into their ability to perform mathematics, to apply this Language of Shape to the next octave of learning, not theoretically, but by practical use of using SHAPE to literally perform mental calculations within seconds. Often students come out of school unable to recover from deep mathematical wounds. They are mis-diagnosed as “un-intelligent” or “dumb”, given drugs like Ritalin, told they are ADHD (which really means: Attuned Directly to Higher Dimensions). In fact, Dyslexic children are geniuses. Chapter 2 Sutra: “All From Nine And The Last From Ten”. 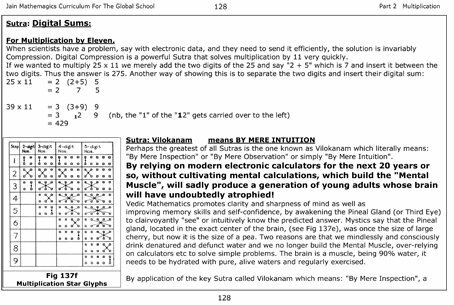 Chapter 7 Nikhilam: Multiplication Of Numbers Near A Base:By The Deficiency. Single Digits x Single Digits eg: 7 x 8 ie: Your Common Times Table. Chapter 11 Sutra: Digital Sums. Multiplication of Numbers Near a Base. Chapter 19 Sutra: “By One More Than The Previous Digit” (“Ekadikena Purvena”). Chapter 29 Determining The Sum Of Triangular Numbers By Application Of “By One More”. Sub-Sutra: The Remainder Remains Constant. Chapter 37 Base 20. Using Sub-Sutra: “By The Excess”. Two Digits x Two Digits. Higher Bases. Nikhilam. Defining The “Working Base” (WB) And The “Original Base” (OB). Using The Sutra: By The Deficiency. Chapter 67 Multiple Methods To Solve One Question. eg: 4 Ways To Solve 25 Squared! 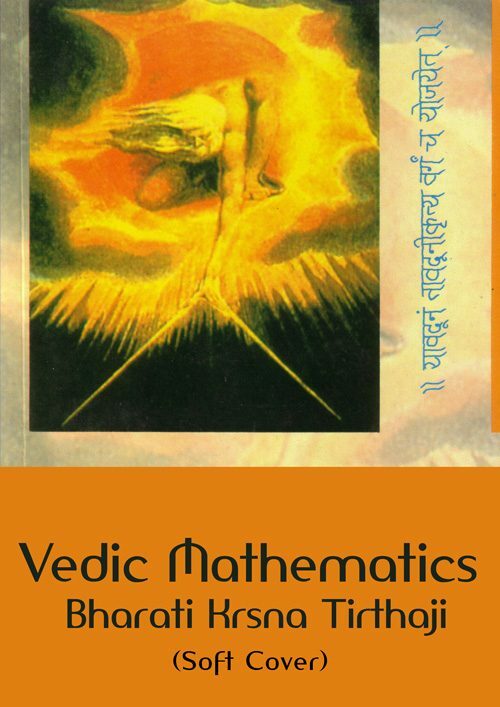 Chapter 71 History Of Vedic Mathematics. Chapter 83 Teacher’s Notes. Or For Advanced Students. Algebraic Formulae. Chapter 89 Answers. For Exercises 2A to 2E. (Supplemented with DID YOU KNOW?). Chapter 97 DID YOU KNOW? Aka: HARMONIC STAIRWAY aka: JAIN’S DICTIONARY OF NUMBERS. Chapter 101 Answers. For Exercises 3A to 59. 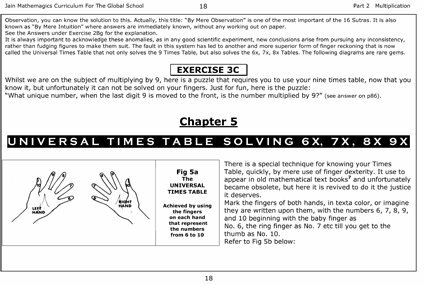 Chapter 103 Worksheets. Teacher’s Resource Material. Chapter 107 Notes On The Front Cover Diagram. 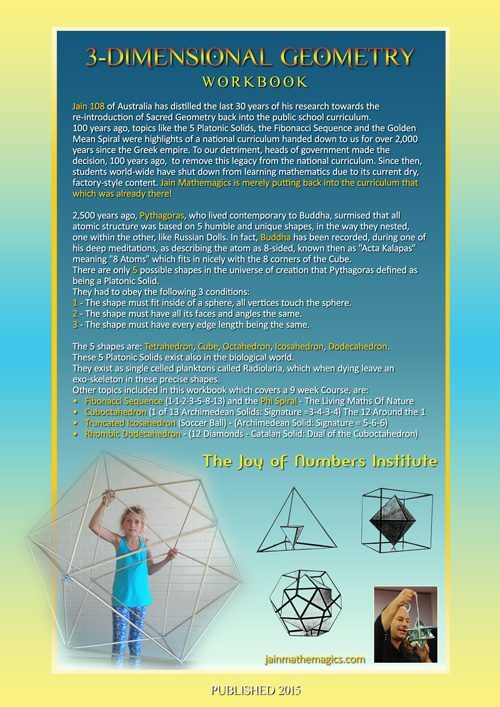 Chapter 131 Books and DVDs By Jain On Mathemagics + Catalogue of Jain Products. Order Form. Chapter 137 Vedic Mathematics Rediscovered. Article By Jain, 2003, For Nexus Magazine. Chapter 139 The Mathematical Art Of Digital Compression. Article By Jain, 2004. (On The Multiplication Table. The Translation Of Number Into Art: The 17thVedic Mathematics Sutra). Chapter 151 Back Cover Blurb. b – (page 17 of 157) Magic Fingers. I went around the world, just teaching Magic Fingers, having revived a lost way of calculating how to do your 6x and 7x and 8x and 9x Tables,on your fingers, saving 2 years of rote learning at traditional schools. 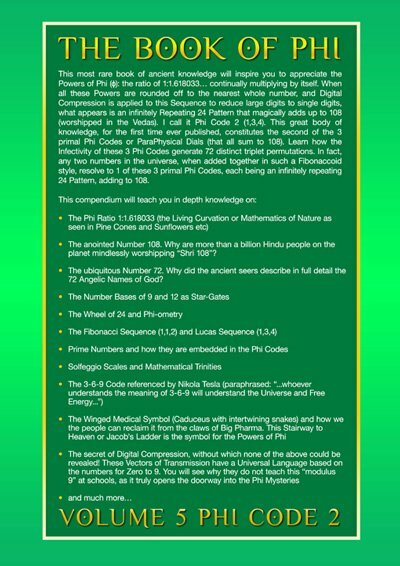 This put me on the world map, and I include it in this book, even though it is not Vedic Mathematics. The Indians loved it and have fully adopted it now. Shows a typical “Art Of Jain” drawing. 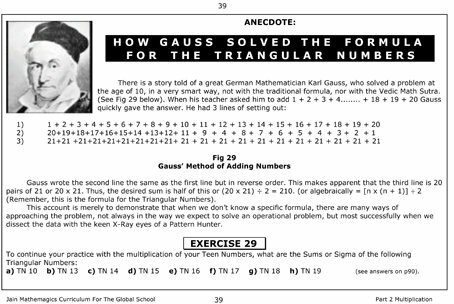 A great page showing and demonstrating how the brilliant German Mathematician, Gauss, solved a problem at a very early age, impressing his math teacher with his wit. Another colorful example of “The Art Of Jain” which will become its own book soon. The symbolism of “AMN” standing above the clouds indicates that He/She has access to the Akashic or Spirit Records which is the Library of all Vibrational Memories, in this case, it is the revival of Ancient Mathematical Knowledge, and bringing it down to mainstream access, to raise planetary consciousness. It is not about the Vedas, it is about Universal Knowledge, as no one culture can copyright this timeless Fixed Eternal Design. 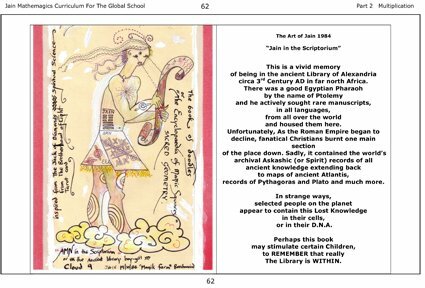 f – (page 68 of 157) “Did You Know?” + Art Of Jain. 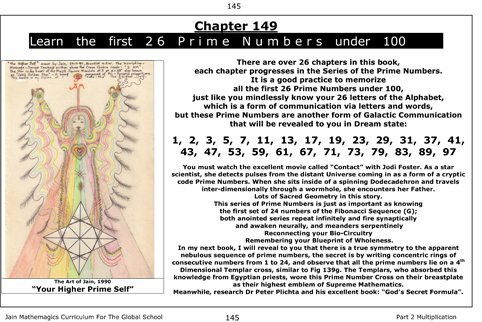 This is a very favourite chapter of mine, as it reveals a whole host of Anointed Numbers, from my Dictionary of Numbers called “Harmonic Stairway”. The answers from the book, are these anointed numbers, so that the student discovers a deeper meaning to Numbers and Sacred Geometry. birth in 1990, showing an ancient winged being. 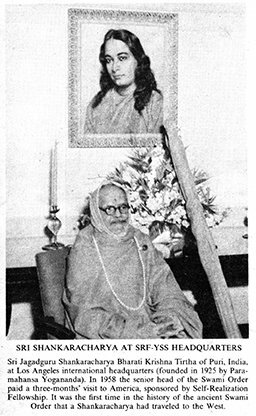 A very important concept, called Trataka, develops and strengthens the Third Eye, by staring at an image without blinking until tears are running down your face, closing your eyes to see its “after-image”. 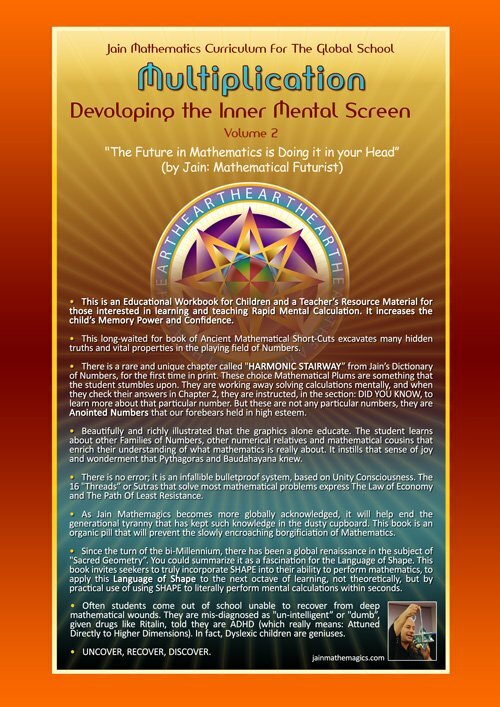 This practice helps awaken The Inner Mental Screen where the student holds the images of the numbers, to perform rapid mental calculation. This is the most important of all the 16 sutras or “word formulae”, Vilokanam literally means “By Mere Intuition” ie, doing mental maths at the speed of light, at the speed of thought, just knowing theanswer, as if the future answer is already embedded in your holographic, all-knowing field. We are walking human bio-calculators, potential far greater than any machine or computer. The chapters in this book do not go in normal sequential arithmetic or counting order, they progress in the sequence of Prime Numbers. I consider Prime Numbers to be the Atoms of Creation, as they do not have any factors, ie they can not be broken down any more. I did it this way, so that the student will be forced to learn this sequence of Primes. “Your Higher Prime Self” indicating that mathematical symmetry is part of our spiritual evolution or is it involution, I am not sure, bit dyslexic.